The BSN INFOTECH PVT. LTD Uttar Pradesh (India) is one of the leading application software company established in 2003. Administrative and Command office is in Kanpur. It has business interests in designing and developing the application software especially in accounting area, or say promotional activity of accounting standard ,inventory controls, taxations matters, VAT and Sales Tax reports, Service Tax, Excise and FBT, TDS, MIS reports etc for all small, medium and large size business enterprises. 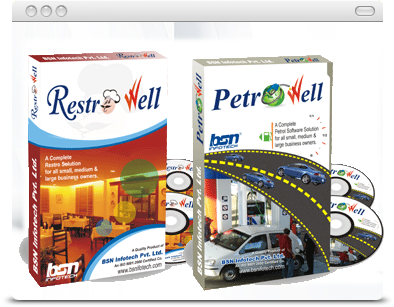 Company’s software are world-class and a boon for everyone especially for general people. BSN is formulated by keeping the needs of general people in mind. Our Research & Development (R&D), Production, Testing, Quality Control, Marketing, Customer Care and Finance all divisions are totally dedicated to provide application software-solutions which are really required for enhancing people’s profitability. Company’s core practices are in developing both generalized & customized packages with total quality control and to the full customer satisfaction. Company’s main aim is to be friendly with customers by knowing their requirements and accordingly providing best software solutions according to user requirements rate all over the India.